With the most comprehensive stock of valves available for immediate delivery, RPV is world renowned for supplying valves on extremely short delivery times from high quality, internationally recognized brands. At the ever expanding location, RPV currently boast 5 warehouses spanning over 135,000 sq. ft., a specialist Engineering and Testing facility and an Industrial Blasting and Coatings division. A vast stock portfolio from world leading manufacturers; Bonney Forge, Della Foglia, Goodwin, Kitz, Shipham & Valvosider has been built up and today sits with a value in excess of £60m. The ever expanding stock portfolio includes over 6400 product lines ranging from ¼” to 48” Gate, Globe, Check, Ball & Butterfly valves. Whilst still stocking commodity items, RPV excel at supplying special material grades, pressure ratings and large bore valves. Materials such as Super Duplex, Inconel, Alloy 20, 904-L, F91, Hastelloy C, F316-H, F317-L and Monel are all readily available for immediate shipment. 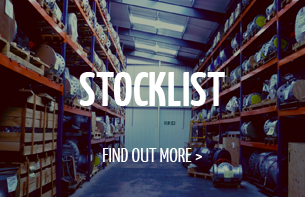 Please view the current stock list for a full breakdown of every valve stocked. As the stock levels grew, it became apparent that more and more clients required valves to be modified to meet specific requirements and furthermore tested to various end user specifications. In January 2012, RPV acquired Holborn Engineering Services to further enhance the Engineering capabilities and aid setting up a bespoke test house. Over the 2 years, custom built machinery was put in place to allow all types of testing to any, and every, valve that is stocked. All aspects of the facility have been fully audited and are BS EN ISO 9001 : 2015 and PED 2014/68/EU BSI certified. Please visit the testing/documentation link for further details. 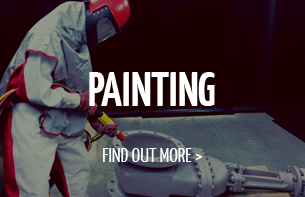 The next piece of the puzzle to make RPV a one-stop-shop for the procurement of valves was the addition of an Industrial Coatings and Blasting Division. In August 2013, Miltech were acquired by RPV to assist in the setting up and running of this facility. Again, specialist equipment was purchased to ensure that any and every valve that is stocked could be painted to any specification. Please visit the painting section of the website for further details. Now in its 23rd year of trading, RPV are still always looking for new ways to expand and further support their worldwide client base; New stock lines are continually being added, new specialist machinery to aid in testing, modification & painting are always invested in and all of the staff continue to strive to meet every single customer requirement in the most timely fashion. 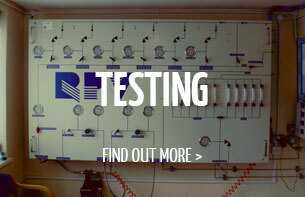 For any valve, testing or painting requirement you may have, please do not hesitate to contact our sales team.